Bozeman, Montana - All special benefit tickets for the August 3 Jackson Browne with David Lindley show at the Theater at the Brick in Bozeman have sold out. The tickets, to some of the best seats in the house and a post-show backstage meet-and-greet with Jackson Browne, were made available by Jackson Browne through The Guacamole Fund as a benefit for Buffalo Field Campaign. "We are thrilled to have such strong support from Jackson Browne and the Guacamole Fund," said Buffalo Field Campaign Executive Director Dan Brister, "Jackson Browne is one of the greatest musicians of our time, a dedicated activist, and a long time supporter of Buffalo Field Campaign. 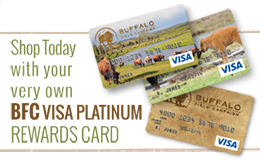 Buffalo Field Campaign is a non-profit public interest organization founded in 1997 to stop the slaughter of Yellowstone's wild bison, protect the natural habitat of wild free-roaming bison and other native wildlife, and to work with people of all Nations to honor the sacredness of the wild bison. BFC has its headquarters in West Yellowstone, Montana, and is supported by volunteers and participants around the world who value America's native wildlife and the ecosystems upon which they depend. The Guacamole Fund and its associates have been helping nonprofit organizations that work in the public interest since 1973.